(1) Earth’s human population has exploded exponentially from 2.5 Billion in 1950 to 6.8 Billion at the beginning of 2010. IF this trend continues (and there is not a mass human-extinction event), Earth will be inundated with a billion additional people by 2023 (approaching 8 Billion Total - 320% of 1950). (2) Rapid urbanization has caused billions of people and jobs to migrate toward large, overcrowded, inefficient, filthy, chaotic cities with extremely-high cost of living. Many near-sea-level megacities worldwide are now at risk of coastal flooding (in a few decades?). If only half of the new population live in crowded urban cities, Earth will need 500 new cities (that do not exist today) of one-million-people each - They must be completed and ready to occupy by 2023. Our lazy leaders who SHOULD be planning-and-managing this predictable population expansion seem to be TOTALLY WITHOUT A CLUE about what to do. If the kind of NASA scientists who safely sent men and electric cars to the moon are correct, Earth’s greenhouse gases (which are now increasing at 0.6% PER YEAR) will soon cause further significant global warming climate changes. The latest climate report documents that this year is the highest worldwide average temperature in human record keeping history. Those (like Limbaugh, Beck, Inhofe, and Palin) that mislead their political followers by claiming that "global warming is a political hoax" are sinister evil demonic LIARS who stand in the way of solving today's many man-made problems. Some climate experts now predict that the rate of sea level rise may soon increase disastrously. New York City sidewalks may soon go underwater. Subways, utility tunnels, and building basements could flood, and the lights might go out on Wall Street, turning the folly of fools into reluctant believers of the long-ignored Scientific Truth that they've been preaching against. If we wait until such a cataclysmic event, it will be far too late to avoid significant loss of life, and worldwide economic calamity. It MAY be like no mistake that humanity has ever made before. Do you believe bloviating Rush Limbaugh, corrupt Senator Jim Inhofe and Silly Saint Sarah, OR do you believe our proven NASA Scientists? The lives of your grandchildren may very-well depend on your answer and immediate actions. WHEN (not if) sea level rises, perhaps a billion (formerly wealthy) people living near coastlines worldwide may become homeless. This could add the need for an additional 1,000 new cities of a million people each. 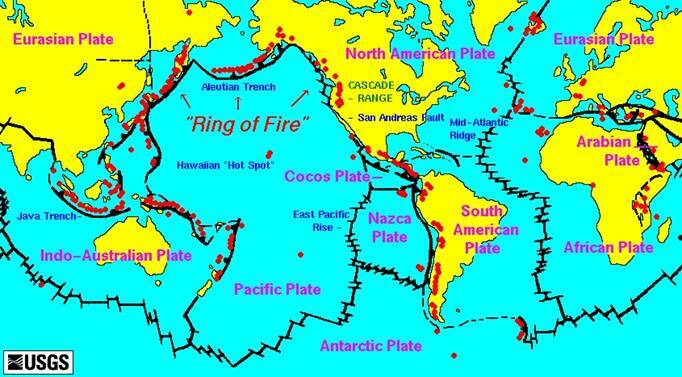 How long will we “wait and see” if the predictable catastrophe comes true? WHEN it does, what will YOU do? Just suppose for a moment that rock-solid scientific predictions about population and sea level rise are correct. What will we use as a role model for the necessary 1,500 SUSTAINABLE new future megacities? Will we try to repeat the inefficient, unsustainable, chaotic, poorly-planned urban development of recent years forever? The vast majority of conservative mediocre-minded individuals (who lack creative-problem-solving mental skills) CANNOT IMAGINE doing anything other than what has always been done before. They awake each morning, thinking that their role in the world should be the same tomorrow as it was yesterday. Sometimes, a lack of imagination is SUICIDAL. Throughout human history, major changes have periodically been absolutely unavoidable. Just like the PC in 1980, and Internet in 1993, Emerald Eco-City is a long-overdue concept, whose time has finally come. Our motivation is now unprecedented in human history. Emerald Eco-City is the fulfillment of Disney’s unimplemented EPCOT dream, using today’s best-and-brightest creative ideas, proven technology, energy, automation, and sociology. No miracles required. It is merely a matter of holistic systems integration, and unequaled citywide optimization. Emerald Eco-City should be the foundation of live-and-work megacities for two billion people in the coming decades. How much will that soon be worth to today’s Suicidal Society? How much is it worth for humanity to survive. To accomplish our needed self-sufficient “economy of scale”, we feel it is necessary to begin with a city of at least a million people to Live-and-Work Comfortably and Abundantly in Harmony with Nature. An unconvincing half-hearted small-scale ecocity demonstration would be far too little, far too late. The following estimates WILL change when the specific site is selected and final investor goals are negotiated. A minimum square-footage size is necessary to achieve our low-cost economy-of-scale objectives, and to spread out the unprecedented innovative design, integration, automation, and overall-project-optimization costs, so they will NOT be very significant on a per-unit basis. A thousand creative imagineers, scientists, naturalists, sociologists and advanced-solution designers will collaborate worldwide on the Internet to develop, integrate, and optimize the many unprecedented never-before construction details. Our exciting opportunity is now so much more than any human-creativity project has ever been before. To accommodate a million residents and workers, we begin with an estimate of 2.5 people per unit. We could have over 400,000 reconfigurable residential units that range in size from about 500-square-foot efficiency apartments, up to penthouses with 5,000 square feet (or more if reconfigurable units are combined). Very-cost-effective Zero Energy Design® “Core Module” concepts [Core Module] will enable easy, one-day reconfiguration of residential-and-office space, to create any floor plan that occupants desire. If our average residential unit size is about 1500 sq.ft., that is a total of at least 60-million residential square feet. Our strong goal is to construct Emerald Eco-City so that everyone who qualifies to work here can also afford to live here comfortably. This is a total of 180-million sq.ft. (60 million + 120 million) with precise indoor climate control. Most of these floors plus residential space will span 12 feet high (10-foot ceilings plus 2-feet for structural-and-infrastructure space between floors). Emerald Eco-City will also have about 80-million sq.ft. of South-Facing Solarium, Greenhouse, Food Growing, Park Amusements and Entertainment (in our “Thermal Buffer Zone”). [TBZ] It will consist of EIGHT 60-FOOT-HIGH SOLARIUMS. Each of these 8 sun spaces will be 10-million sq.ft. (and five-stories-high). Solariums will be designed like extensions of residential-and-office visual-and-living space - Better than an expensive condo next to NYC Central Park. Our eight 60-foot-high solariums will be stacked on top of each other, for a total of 480 sq.ft. high. If Emerald Eco-City was built as a single level, 180,000,000 sq.ft. of residential, educational and commercial comfort-controlled interior space would require a square footprint over 13,400 linear feet per side (over 2.5 miles x 2.5 miles), plus the solarium space. 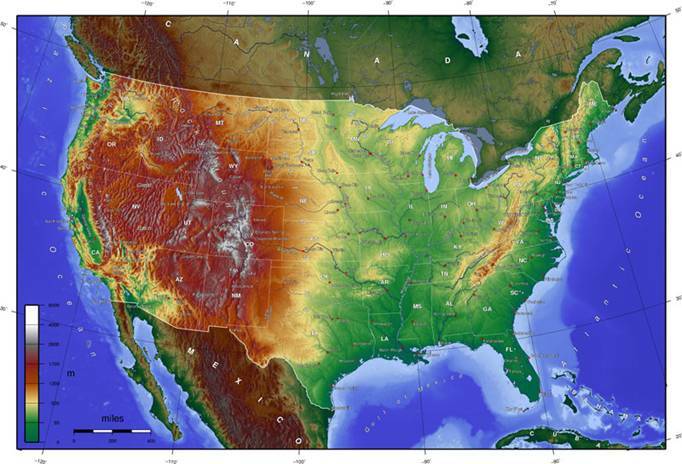 It would have a huge foundation, and a bad giant roof that would absorb enormous summer solar gain (in the hot desert). If 180-million sq.ft. is built 40-stories tall (480 feet), as an optimized 3D rectangle with vertical sides, its footprint would be only 4.5 million sq.ft. = A square 2121 feet on a side = 0.4 miles x 0.4 miles x 480 feet tall, plus the solarium square footage. It would have far less surface area exposed to hot summer sun, and exterior temperature extremes. The foundation footprint would be much smaller, and the horizontal distance from one place to another inside the city would be much shorter. This optimized 3D arrangement is MUCH MORE EFFICIENT THERMALLY and LOWER CONSTRUCTION COST than any other city of one million occupants in the world today. Its relatively-low initial investment, minimal ongoing operating cost, and return on investment would be outstanding, compared to any other beautiful, sunny, luxury-living anywhere. How Big is The World's Largest Construction Project? For thousands of years, The Great Pyramid at Giza Egypt has remained the world's most-massive man-made structure. Early Greeks called it the First Wonder of the World, and it is the only one of the seven still remaining to this day. When first constructed, it was 479 feet tall, with a base footprint of about 13 acres. 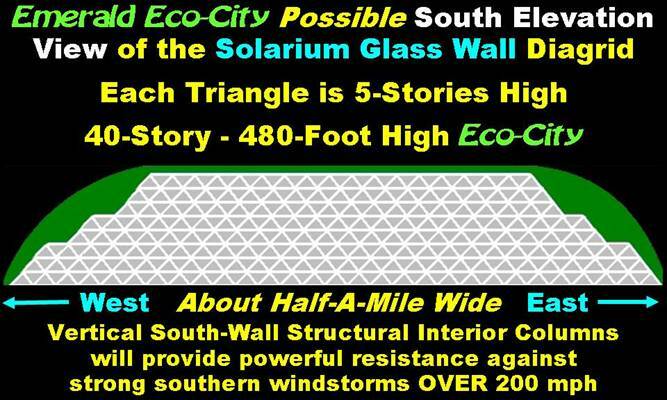 In comparison, you could fit the cubic volume of over 32 Great Pyramids INSIDE the Emerald Eco-City outer shell. Multiply $77K times the number in your family - Would YOU like to live here in secure luxury with NO incremental-usage utility bills or transportation cost? Today, the U.S. government ineffectively wastes Trillions of dollars subsidizing profitable big oil companies and bailing out Wall Street, Detroit and other grossly-mismanaged greedy corporations. How many future Trillions of dollars will we waste imitating unsustainable obsolete old-fashion inefficient cities? What will it take to eliminate today's insane behavior? One Trillion dollars could build a dozen new Emerald Eco-Cities for 12 Million Happy Prosperous People. The funding does NOT need to come from the public purse, bailouts, or taxpayer subsidies. Extremely-efficient Emerald Eco-City costs MUCH LESS per person than today's unsustaqinable megacities. If idiots tell you that "Living green costs more", laugh in their non-learning stupid status-quo face. Our future must COST LESS, and be much better than today. We live in a time of fantastic new technology and unprecedented human productivity. There is no technology reason why we cannot immediately solve our many man-made problems. Our only limitations are lack of motivation and imagination for grandiose innovation. No risk of losing a large investment in your home or business property, because of dumb things done by greedy bankers or corrupt politicians. IF you do choose to own property in Emerald Eco-City, what do you think its value will do WHEN Wall Street (and the homes and businesses of a billion people) fall below sea level (in the 2010's or 20's)? If you have experience in an Emerald-Green state-of-the-art job, what do you think will happen to the future value of your skills? Our Emerald Green Future Is More Brilliant Than Any Society In History. Are you getting excited about our Emerald-Green visionary future opportunities yet? If this does not turn you on, then you should return to your unsustainable suicidal status quo. By the time you open your mind (if ever), you will have lost many wonderful opportunities in life. 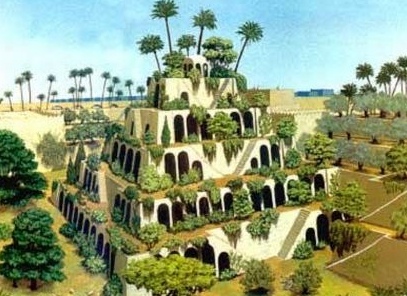 The Hanging Gardens of Babylon were one of the original Seven Wonders of the World. They were built near present-day Al Hillah, Babil, in Iraq, by King Nebuchadnezzar II - around 600 BCE. These lush Hanging Gardens are extensively documented by Greek historians. Stone tablets show similar gardens at Nimrud. The basic shape of Emerald Eco-City is somewhat similar to this ancient architecture, although we now have the modern advantage of low-cost glass for our huge solarium, which was not available 2600 years ago. Zero Energy Deign ® did not invent the concept of a tree-covered garden city - It is very ancient. Contrast: $12 Billion for only 17 million sq.ft. Emerald Eco-City is self-contained “Emerald Green” – CityCenter is a silly status-quo joke. LVCC was naïvely sold to investors as a $4 billion project. It was terribly mismanaged and wound up costing THREE TIMES MORE THAN ITS ESTIMATE. Fraud lawsuits were filed. LVCC uses conventional-city design with inefficient, extremely-large glass surface area on all sides in the very-hot Nevada summer sun. LVCC has no significant attractions other than gambling (and Sin City immorality). Does CityCenter look like harmony with Nature? Individual stand-alone homes are exposed to local summer / winter weather extremes on all sides (except the ground). Apartment / condominiums are partially protected on most sides by the other units. Each unit has much-less surface area exposed to weather extremes, and therefore much lower undesirable heat transfer and energy requirements. In areas with high summer air conditioning load factors, you to NOT want a unit with a western exposure in the hot afternoon. In areas with high winter heating costs, you do NOT want prevailing winter wind exposure. It would be uncomfortable. Since exterior walls are more expensive to build than interior walls, exterior surface area is directly related to cost. The more exterior corners (decorative cuts and jags) on any building, the higher the: (1) surface area, (2) construction cost, (3) risk of expensive air leaks, and (4) utility bills. Rectangles cost much less than buildings shaped like an L, T, X or U. 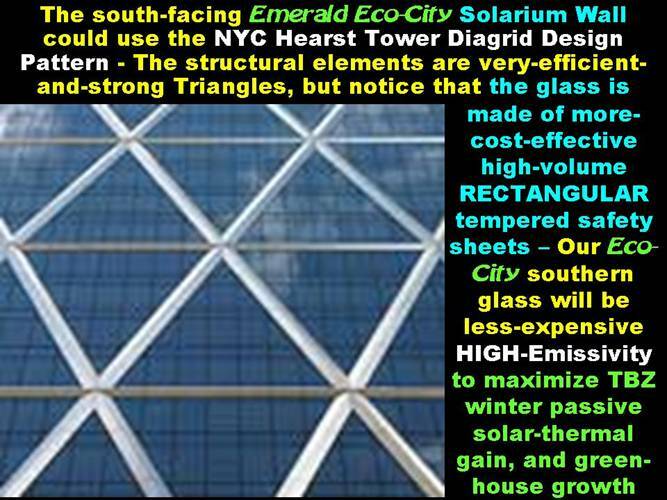 The far-superior hill shape of Emerald Eco-City has even less surface area per cubic foot than a rectangular building. Our greenhouse solariums and 250,000 interior trees make our spaces "feel" like they are outdoors with plenty of light, but the Zero Energy Design® Thermal Buffer Zone eliminates exposure to exterior weather extremes. Washington wasted over $450 BILLION on Wall Street Bailouts, so the “Fat Cats” who created our 2008 economic catastrophe could keep their $5-to-$20-million / year bonuses. And then, banks WITHHELD loans from businesses that desperately needed the taxpayer bailout money. Are YOU happy with the way $450 BILLION was wasted? Would $77 Billion be a BETTER Return On Investment? How many new jobs did the $450 Billion Wall Street Bailout Create? Would you rather spend $450 Billion on only about 700 greedy financial executive profiteers, (half of the “Man on the Moon” Apollo Project), OR would you prefer to spend only $77 billion to create over 400,000 permanent new Emerald-Green jobs, and the foundation demonstration for all future megacities worldwide? How much is it worth to avoid the suicide of humanity? Do you think America’s crooked corrupt Congress is spending your taxpayer money wisely? Are they looking toward the future, or simply subsidizing status quo devastating nationwide fossil-fuel addiction, with far more money than Emerald Eco-City will cost? Can YOU Imagine that Emerald Eco-City will be a thousand times better than anything being done today in Las Vegas, on Wall Street, or in very-unpopular Washington D.C.? Who Will Like Emerald Eco-City? Do you think it will be difficult for us to find a million insightful people who want to live a Prosperous, Cost-Effective, Abundant Life in Harmony with Nature in Emerald Eco-City? We believe that the majority of our one-million residents will be enlightened environmentalists, with over 400,000 ecologically-responsible new jobs that we will define ourselves. We will NOT work for the corrupt corporations that created today's many crises. We will define new jobs that serve humanity. Do you think that a real-world demonstration of Emerald Eco-City’s sustainability potential will influence the entire world? In 1957, the nuclear-armed Soviet Union (CCCP) successful launched the first man-made satellite around the Earth “Sputnik.” Their avant-guarde technology leadership scared USA to death. CCCP had the PROVEN ability to orbit nuclear weapons of mass destruction, and to unilaterally bring them down anywhere on Earth, at their aggressive political discretion. Our newly-elected U.S. President John F. Kennedy understood the CCCP nuclear threat very well. “Those who came before us made certain that this country rode the first waves of the industrial revolutions, the first waves of modern invention, . . . and this generation does not intend to founder in the backwash of the coming age of space. We mean to be a part of it - We mean to lead it." “For the eyes of the world now look into space, to the moon and to the planets beyond, and we have vowed that we shall not see it governed by a hostile flag of conquest, but by a banner of freedom and peace. We have vowed that we shall not see space filled with weapons of mass destruction, but with instruments of knowledge and understanding. “Yet the vows of this Nation can only be fulfilled if we in this Nation are first, and, therefore, we intend to be first. In short, our leadership in science and in industry, our hopes for peace and security, our obligations to ourselves as well as others, all require us to make this effort, to solve these mysteries, to solve them for the good of all men, and to become the world's leading space-faring nation. “There is no strife, no prejudice, no national conflict in outer space as yet. Its hazards are hostile to us all. Its conquest deserves the best of all mankind, and its opportunity for peaceful cooperation many never come again. But why, some say, the moon? Why choose this as our goal? And they may well ask why climb the highest mountain? Why, 35 years ago, fly the Atlantic? . . .
“It is for these reasons that I regard the decision last year to shift our efforts in space from low to high gear as among the most important decisions that will be made during my incumbency in the office of the Presidency. . . .
“We have seen facilities now being created for the greatest and most complex exploration in man's history. We have felt the ground shake and the air shattered by the testing of a Saturn C-1 booster rocket, many times as powerful as the Atlas which launched John Glenn, generating power equivalent to 10,000 automobiles with their accelerators on the floor. We have seen the site where five F-1 rocket engines, each one as powerful as all eight engines of the Saturn combined, will be clustered together to make the advanced Saturn missile, assembled in a new building to be built at Cape Canaveral as tall as a 48 story structure, as wide as a city block, and as long as two lengths of this field. “Within these last 19 months, at least 45 satellites have circled the earth. Some 40 of them were "made in the United States of America" and they were far more sophisticated and supplied far more knowledge to the people of the world than those of the Soviet Union. “The Mariner spacecraft now on its way to Venus is the most intricate instrument in the history of space science. The accuracy of that shot is comparable to firing a missile from Cape Canaveral and dropping it in this stadium between the 40-yard lines. “Transit satellites are helping our ships at sea to steer a safer course. Tiros satellites have given us unprecedented warnings of hurricanes and storms, and will do the same for forest fires and icebergs. “We have had our failures, but so have others, even if they do not admit them. And they may be less public. “The growth of our science and education will be enriched by new knowledge of our universe and environment, by new techniques of learning and mapping and observation, by new tools and computers for industry, medicine, the home as well as the school. Technical institutions . . . will reap the harvest of these gains. “And finally, the space effort itself, while still in its infancy, has already created a great number of new companies, and tens of thousands of new jobs. Space and related industries are generating new demands in investment and skilled personnel, and this city and this State, and this region, will share greatly in this growth. What was once the furthest outpost on the old frontier of the West will be the furthest outpost on the new frontier of science and space. “Houston . . . with its Manned Spacecraft Center, will become the heart of a large scientific and engineering community. During the next 5 years the National Aeronautics and Space Administration expects to double the number of scientists and engineers in this area, to increase its outlays for salaries and expenses to $60 million a year; to invest some $200 million in plant and laboratory facilities; and to direct or contract for new space efforts over $1 billion from this Center in this City. Rush Limbaugh wants Obama's USA to fail - What IF Kennedy's $145 Billion Apollo Man On The Moon Program Had Failed? No one can know for certain what would have happened if CCCP won the aggressive 1960’s space technology race. President Kennedy openly feared “space filled with weapons of mass destruction”. If Kennedy's worst fears were realized, the USA might now be owned by the CCCP. in his 1961 inaugural speech. This is NOT wild-eyed speculation. It is based on the well-documented specific words of the President of the United States of America. Apollo’s Man on the Moon program was thought to be essential to the survival of all mankind. Emerald Eco-City has the potential to be far more valuable to all of mankind than 12 men walking on the moon. Was Apollo worth $145 Billion (6% of the U.S. federal budget) to build a used electric car lot on the moon? What would have happened if we had lost the space race, or we did not even try to compete ? ? ? Would YOU even be alive today? Would your children glow in the dark? Would humanity have committed nuclear suicide? Fear is not the best motivator, BUT FEAR IS VERY MOTIVATIONAL. A better motivator would be Intelligent Sustainability, but that does not work in a non-learning world that is corrupted by business-as-usual status-quo greedy profiteering . What If America Does NOT Immediately Implement Emerald Eco-City? The above John F. Kennedy statements have significant parallels with the many UNSUSTAINABLE Suicidal Trends that our entire world is now facing today. The likelihood of this happening in the 21ST Century is greater than the CCCP space-based nuclear weapons threat turned out to be. There is good reason to argue that when the U.S. won the space race, it set CCCP down the path toward bankruptcy, and the eventual collapse of the Berlin wall. Now, Russia is our good partner ally on the International Space Station. When America stops flying our aging Space Shuttle in 2010, Russian spacecraft will be the ONLY way for us to get to-and-from the Space Station. The $145 billion Apollo Man on the Moon program created over ten thousand jobs that lasted 14 years. The first $77 billion Emerald Eco-City will create over 400,000 PERMANENT never-before jobs that should last for a century, and become the basis for billions of ecological megacities in the future. From this perspective, our $77 billion investment is immediately worth over 40 times more than the $145 billion Man on the Moon investment in the future. How many never-before NEW jobs did the Bush / Obama TRILLION DOLLAR stimulus packages create ? ? ? Clearly, none of their goals were accomplished. Will a $77 billion Emerald Eco-City investment be worth far more than the $5 million to $20 million salaries that American taxpayers gave to the 700 greedy, corrupt, Wall Street financial executives who created our 2008 / 2009 huge recession (which blew a $15 Trillion hole in the American economy)? Anyone who says that USA can survive for very long with nothing more than minor future improvements in mpg, new light bulbs, or slight reductions in greenhouse gas emissions, is without a clue about what we really MUST DO. Emerald Eco-City will clearly demonstrate ZERO Emissions – Never Burn Anything. How else is that possibly going to happen? Do you believe Zero Emissions is necessary? Will Al Gore stop burning 20-times more natural gas than the average American? Will he get rid of his 110-foot houseboat that burns large quantities of deadly ethanol? Will Obama convert all federal buildings and vehicles to ZERO EMISSIONS? NOT VERY LIKELY! If not them, then WHO? If not now, then WHEN? that were scientifically proven very-cost-effective by the U.S. DOE and ZED 30 years ago ? How can humanity survive without radical reinvention of the Suicidal Path we are still on? IN THE HISTORY OF HUMANITY ? ? ? We very much think it will. Can you begin to see the UNIQUE power of our exciting, unprecedented, Compelling Vision? Will you still fill your SUV with unsustainable imported expensive fuel? Will you buy more internal combustion engines? Will you thoughtlessly pay your increasing utility bills, and continue to ignore your children's future (until we all die)? Where should we build our first Emerald Eco-City? For multiple good reasons, we WANT to build Emerald Eco-City in a nearly-sterile mostly-dead desert with essentially no significant population of plants or animals. We do not want to do anything that might impact endangered species in any way. We do NOT want to repeat Walt Disney’s Disneyland mistake and begin with only 160 acres. He quickly realized that he had rapidly driven up all nearby real estate values, and there was no affordable land on which to expand. He corrected his huge mistake with 27,400 acres of useless Florida swampland in 1966. Today, Walt Disney World theme parks are now The Most Successful and Profitable in the World. We do not have to explain the high value of Emerald Eco-City – The World’s LARGEST Theme Park. We do not have to re-learn Walt Disney's critical lesson about having confidence in our compelling vision. We feel it is necessary to begin with 200,000 useless desert acres – The size of the New York City Island of Manhattan. Our land with no pre-existing infrastructure needs to cost us even less than Florida swampland once did. By building on an essentially-sterile desert, the only environment impact we will have should be quite positive. The over 4-million trees that we plant every year will help turn our desert into a beautiful Garden-or-Eden oasis. We will turn useless desert into very-valuable property - that is why we must begin with 200,000 acres. It must be enough to build multiple zero-impact million-resident Eco-Cities. the availability of a GROWING SUPPLY OF ABUNDANT LOW-COST ENERGY. It would have been essentially impossible for muscle energy alone to provide the food and clean water for 6.8 billion people worldwide. Rural electrification and fossil-fuels temporarily enabled the cost-effective energy density that was necessary to reduce the number of American farmers from 41% down to less than 2% of the population, while providing food for four-times the number of Americans, PLUS other starving nations around the world. In the 21ST Century, UNSUSTAINABLE fossil fuels and nuclear energy are no longer: scalable, dependable, secure, environmentally acceptable, OR cost effective. We now have NO ALTERNATIVE other than to quickly replace them with Clean, Emerald Green, FREE-FUEL, "Abundant Energy in Harmony with Nature"® (OR DIE). 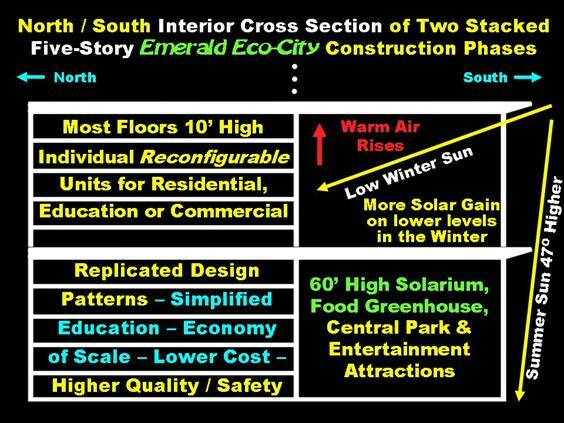 Emerald Eco-City MUST quickly solve ALL of these problems (in less than a decade), with an Emerald Green, LOWER-COST Foundation for a MORE-Prosperous Abundant-Energy Future. Emerald Eco-City is NOT a plan for energy austerity. You will NOT have to shiver in a sweater in the winter, or swelter in the summer. All-electric rapid transportation in three dimensions anywhere within our Eco-City of a million people will be extremely convenient, fast AND free of incremental usage charges – Push-a-button, like an elevator - No cab drivers to tip - Very-fast robot messengers throughout the entire city in only a few minutes. All-electric abundant free-fuel energy. To support expanding prosperity well into the future, Emerald Eco-City will BEGIN with ten-times more abundantly-available energy per capita, than what is being consumed in the USA today, and yet, our extremely-efficient city-wide integration-and-optimization will consume far less energy per person than any other American city does today. The EXTRA free-fuel abundant energy will be provided for doing NEW things that no one dreamed reasonable only a few years ago. Analogy: as computers rapidly became faster and cheaper, we discovered endless new inexpensive things to do with microcomputers. In a similar way, as solar (wind and geothermal) become cheap and abundant, our our energy efficiency technology continues to get progressively better every year, we will soon discover endless cost-effective ways to improve our standard of Emerald Eco-City Abundant Living in Harmony with Nature. Comparing Emerald Eco-City Abundant Future Energy is similar to comparing pre-electricity to the energy that became available to all Americans by the middle of the 20TH Century. Tomorrow’s more-abundant, lower-cost free-fuel energy is well beyond most myopic minds' ability to even imagine. Fossil-fuel addicts haven’t a clue what to do. The analogy is that most conventional fossil-fuel-addicted community planners who drive gas-guzzling SUV’s are like old farmers sitting on a cart with wooden wheels, looking at a horse’s behind, thinking about improving dirt roads. There’s nothing wrong with horses – They effectively convert solar energy from grass into limited muscle power. 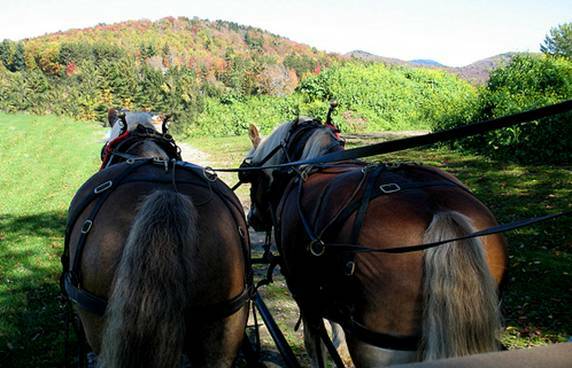 Gentle horses have been valuable friends of humanity for a very long time. We love and respect horses. They will continue to play a valuable role in resolving Nature Deficit Disorder in the future. Emerald Eco-City children will the raised to love horses. BUT, Zero Energy Design® is a Quantum Leap ahead of the “cars are more important than people” business-as-usual laggardly community planning pack. There will be NO CARS EVER ALLOWED or accommodated in any way in Emerald Eco-City. We will NEVER use or accommodate ANY petroleum-powered vehicles or equipment in Emerald Eco-City - Not even during construction. That sounds much-too-extreme to myopic mediocre mines, who cannot imagine "HOW" it could be done. The is PRECISELY WHY Emerald Eco-City MUST demonstrate cost-effective Zero Emissions - Never Burn Anything. unsafe nuclear fission. A goal of anything other than ZERO Emissions is nothing more than a corrupt political scam. 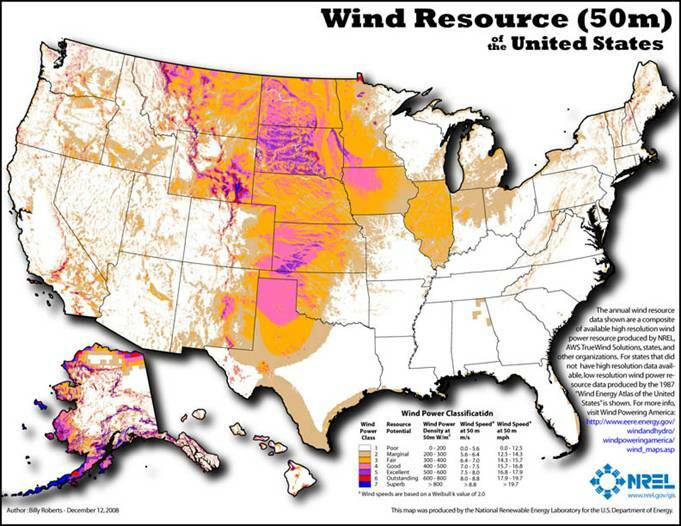 You may click on these solar-and-wind resource charts for very-high-resolution versions, and other more-detailed government information. Parts of California are excellent for solar, but they have very-high (oppressive) taxes, and there are other serious current economic-and-government mis-management issues. If we chose to depend on wind energy, using off-the-shelf technology, we need to select an “Excellent” (purple), “Outstanding” (red), or “Superb” (blue) location in the “Wind Corridor” to maximize cost effectiveness. It would be nice to have access to BOTH abundant solar AND wind energy, but they mostly are not “excellent” in the same place. Either solar-or-wind will be sufficient for Emerald Eco-City “Energy Is The Essence Of Existence” objectives. Elevation is another (lesser) site-selection consideration. We certainly do NOT want to be within 500 feet of today’s sea level. Higher elevations often have clearer skies (for solar energy), and lower humidity (for human health-and-comfort control). Higher elevations have lower nighttime temperatures (for cooling down thermal mass in the summer). Peaks often have better wind energy (depending on other variables). Elevations above 4,000 feet have thinner air, which is a health issue for some people. 1,800 to 3,600 feet above sea level is a good, widely-available range, but a particular elevation is certainly NOT required. Other considerations are more important. still have MANY EXCELLENT LOCATIONS TO PICK FROM. Final very-critical site selection success factors are the available size, and the price, of the land. Walt could only scrape up enough money to buy a 160-acre orange grove. When new media (B&W television “Wonderful World Of Disney”) made Disneyland a huge success, he learned the painful lesson that he had driven up the price of all nearby land. In 1959, Walt began to plan what eventually became Walt Disney World Resort in Florida (Disneyland and Disney World are both in “Orange County” – A good place for oranges is also good for people). Walt’s covert companies secretly bought up 27,400 Florida acres in 1965, before releasing the last movie of his life in 1966 about his original plan for the Experimental Prototype Community Of Tomorrow (EPCOT). A growth-oriented Emerald Eco-City cannot afford to make the myopic Disneyland mistake. We need not reinvent the small-scale-thinking wheel. The success of Disney World is a PROVEN concept that we do NOT need to repeat. Considering the near-future rapidly-growing demand for sustainable, scalable, 21ST Century supercities, we MUST begin with a Compelling Irresistible Vision that is many times LARGER than Florida Disney World. New York City is a proven-demand working example (which is likely to drop below sea level in the foreseeable future, unless the entire world immediately stops burning fossil fuels, which is very unlikely). Before ground can be broken for Emerald Eco-City, we MUST have clear, unencumbered title to AT LEAST 200,000 acres (7+ times the size of Walt Disney World, and about the size of the New York City Island of Manhattan). conventional business-as-usual construction or junk anywhere near Emerald Eco-City. Emerald Eco-City development plan, and gathering consensus among many subject-matter experts, we should be able to expect generous federal-and-state government land grant, and competitive incentives from multiple locations. U.S. Department of Interior manages millions of acres of useless desert that would be perfect for Emerald Eco-City solar power generation. 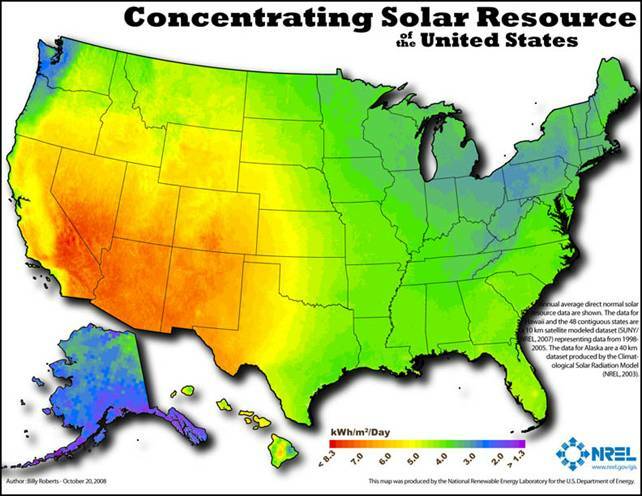 After significant resistance to large-scale solar energy development under Reagan-to-Bush, in the summer of 2009, the Obama Administration announced fast-track applications for utility-scale solar energy development on DOI land . Unlike the Wall Street and automotive bailouts and jobs programs, a land grant from the U.S. DOI would cost taxpayers nothing out-of-pocket, and provide Trillion-Dollar near future benefits to our entire nation as a whole - Even more than the very-successful American Man on the Moon Apollo program did. Southwestern desert solar-energy states could compete with incentive offers to build Emerald Eco-City in their state, after the project is endorsed by a few key insightful individuals. Our massive construction project will rapidly provide tens-of-thousands of new jobs, and nearly half-a-million long-term permanent high-paying Eco-City jobs. It will become the pragmatic prototype of our only possible sustainable future (which was Walt Disney’s original EPCOT vision). Our project will become the foundation for training millions worldwide in the new prosperous, cost-effective, Objective Zero (OZ): ZERO Emissions – Never Burn Anything, ZERO Pollution, ZERO Waste, ZERO Crime, ZERO Poverty, ZERO Energy, ZERO Impact – NO Landfill Cradle-to-Cradle. What kind of government could possibly resist trading title to otherwise-useless land for all the above? Just to turn the first shovel-full of dirt, Emerald Eco-City development must also have $20 billion cash-equivalent on hand, PLUS commitments for the balance of roughly $77 Billion, contingent upon us meeting our initial infrastructure development goals. The $20 billion “get started” seed money can come from necessary previously-allocated job-creation, job-training, housing, and new-energy-development government incentive programs. PLUS, venture capital from forward-looking investment sources that will profit fairly from their faith in a successful Emerald Eco-City. What about access to a large international airport? The very question itself is indicative of backward, business-as-usual thinking. In 2008, $4 gallon pump price began bankrupting transportation companies, including truckers and airlines. Flights were permanently cancelled, less-efficient airplanes were retired, thousand of pilots fired, and far-fewer people could afford to fly. By the time Emerald Eco-City is completed, past-peak international oil supply will be declining, as millions more people from China and India will own their first car. Gasoline pump price and jet fuel MUST eventually far exceed the bankruptcy point ($6+ per gallon) . Very-few airplanes (other than military) will be in the air anywhere. Many airports and hotels will have to close. In anticipation of this, Emerald Eco-City will be the World's Largest Vacation Spot for our own residents, who will want to travel far less than people who live in chaotic rat-infested megacities do today. Future passenger-and-freight rapid transit will be by high-speed electric trains, NOT airplanes. We will actively demonstrate and promote all-electric transportation. Emerald Eco-City will have the world's most-advanced telepresence / teleconferencing facilities - Making doing business internationally much-more-responsive and cost-effective than flying around the world in extremely-inefficient jet airplanes (to sometimes dangerous, uncomfortable locations). Unlike Disneyland and Disney World, Emerald Eco-City will specifically NOT be close to any populated area (by design and by desire). There will be NO ROADS close to it, and NO public utilities of any kind (which should help keep the price of a large amount of land nearly free). From the very-first day, our goal is to NOT increase the use of any fossil fuels. At first, we will be dependent on outside sources of basic all-electric component parts, machines, materials, and labor. BUT, to the extent that is feasible and cost-effective, we do NOT want to burn fossil fuels to build Emerald Eco-City. In stark contrast to conventional construction projects, OUR plan calls for NOT EVER BUILDING ANY ROADS for any petroleum-powered vehicles to (or inside) our Eco-City, not even during construction. We will lead the way to the ZERO Fossil Fuel near-term future. An ALL ELECTRIC rail infrastructure is much-less expensive to build and operate than highways. We will initially tie into existing railroads and highways with a single electrified track for moving workers and containerized construction materials, and for special-purpose electric-construction machines, that will be built to our unique precedent-setting specifications. This is one reason that we need the "economy of scale" of an eco-city construction project of at least one million people. Our electrified rail will be simple but powerful: A basic straight line with no car / railroad crossings or large / expensive bridges necessary. We will select the most-appropriate technology of the day. Unlike Disneyland’s 1955 monorail trains, one of our electric rail alternatives is independent rail cars that each have their own electric motors (like the New York Long Island Railroad, and the Chicago Elevated), which allow any number of rail cars to be interconnected to handle a wide range of high-to-low load factors, as efficiently as possible during the day. Our train rolling stock will have some flat beds to transport removable containers, and some luxury rail cars for comfortably transporting workers and eventually our Emerald Eco-City residents and guests. Our electric train will accommodate large structural components that can span multiple flat-bed rail cars. Height-and-width restrictions will not be a problem, since we will own-and-regulate all of the right-of-way, for the entire length of our new electrified rail track. Our first $2-to-$4 billion of development funds will be spent on the (1) Electric rail, plus (2) Electric power generation systems (solar and possibly wind) near the end of the "Yesterday" to "Tomorrow" railroad line. Beside the rails, there will be a “hardened,” secure, utility-support trench (tall enough to stand up in). We will run electric power through a state-of-the-art innovative Smart Grid, back to the existing "Yesterday" power grid, at the origin of our electric rail infrastructure. Our electric grid will use off-the-shelf state-of-the-art efficient power transmission technology of the day – with a future target for emerging superconducting transmission technology, and other potential power transmission innovations that are on the 21ST Century foreseeable horizon. The utility trench will also contain broadband super-capacity hardened fiber optic communications. (There will be no accidental-excavation fiber-optic line cuts). Initially, our utility trench will contain a minimal-size “get started” water supply line (until our Eco-City becomes fully self-sufficient, and no longer needs to bring in any water from outside). This innovative clean, green, free-fuel, abundant electric power facility, will immediately begin generating POSITIVE CASH-FLOW for our aggressive Emerald Eco-City development project (instead of placing a burden on the existing remote power grid). We will not need to ask for additional committed investment funds, until this first phase is impressively up and fully operational (drawing attention to our success-based Compelling Vision of a superior future). We will proudly promote our Compelling Vision, and our demonstrate our innovative evolving infrastructure accomplishments (and lessons learned) to those who are interested, and thus attract further future development investment, and iterative-refinement suggestions. Our free-fuel energy development project will grow steadily over time, and eventually mature into the basis for our Eco-City energy-self-sufficiency infrastructure, generating at least ten times the needed power per person of an existing megacity. That should put us in the enviable category of the World’s Largest such facilities, AND that is just the success-based STARTING POINT for aggressive Emerald Eco-City World's Largest Construction Project. We will build our own onsite, ongoing, manufacturing capacity for the necessary innovations that we know we will need. We’ll also PROFITABLY EXPORT state-of-the-art, ever-evolving energy infrastructure technology and equipment (over and above our own Eco-City needs), as yet another source of ongoing positive cash flow, before we begin the construction of Emerald Eco-City itself. Once again, there will be NO FOSSIL FUELS INVOLVED. All of our large project component parts and raw materials will be from American sources (as nearby and cost-effective as is reasonable). Our Eco-City will be built on 1933 “Buy America” legislation principles (from The Great Depression era).If foreign companies want to participate in this “World’s Largest Construction Project”, they will have to invest in AMERICAN JOBS, and American manufacturing capacity, located near our huge Emerald Eco-City project. We are NOT going to pay for overseas shipping of anything large or heavy. It is long overdue for American corporate leadership to begin thinking more about OUR future prosperity and sources of income, INSTEAD OF outsourcing our good jobs and technology for greedy, shortsighted, profiteers who care nothing about our children or country. Emerald Eco-City jobs will be OUTSTANDING. Most of them will involve new technologies and require unparalleled creative problem-solving skills. In stark contrast to USA Walmart / McDonald’s “Fast Food Nation” that strives to drive DOWN American wages (and expects less from uninspired employees), Emerald Eco-City wants “best-and-brightest” highly-motivated business partners from (top-to-bottom) that feel that they are paid well, according to their enthusiastic contribution and productivity: “Equal pay for equal work – BETTER PAY for better work.” We WANT to pay more and provide superior benefits, because we must expect more from our workers, in our challenging new world-leadership innovation position, and once trained, we need their ongoing loyalty to meet our challenging future goals. progressively better and build on top of our initial successful rock-solid infrastructure development master plan. The Emerald Eco-City, sizing, design and investment-funding negotiations, and final iterative refinements, can take place concurrently while the electric rail and electric power generation facility constructions are taking place. Last-minute changes will not alter the need for rail and power. Capacity requirements may increase rail and power need, but the basic infrastructure will be required, no matter what the Eco-City details eventually become. Allowing concurrent development, and reducing the need for radical mid-course corrections, will help lower costs and improve the accuracy of maturing cost estimates over time.